President Trump announced on Thursday that National Security Advisor H.R. McMaster will resign in April. Former United Nations Ambassador John Bolton will take over the post. This is great news for Trump’s MAGA base. Suspected leaker H.R. McMaster is finally on his way out. Ranking member of the House Intel Committee and shill for Putin, Adam Schiff wasn’t happy about John Bolton replacing McMaster. Perfect. Schiff panicked after Trump announced John Bolton will be replacing McMaster as his National Security Advisor. Just like Trump’s new lawyer, Joe DiGenova, John Bolton believes Obama’s FBI conspired to frame Trump. In other words, Bolton knows the Russian collusion story is a bunch of made up crap. Schiff tweeted: John Bolton once suggested Russian hack of DNC may have been a false flag operation by Obama Admin. He joins Joe diGenova, another Fox contributor, who thinks the FBI conspired to frame the President. Glad to see @POTUS surrounding himself with rational thinkers. Heaven help us. John Bolton once suggested Russian hack of DNC may have been a false flag operation by Obama Admin. He joins Joe diGenova, another Fox contributor, who thinks the FBI conspired to frame the President. Glad to see @POTUS surrounding himself with rational thinkers. Heaven help us. Schiff also tweeted: It’s hard to escape the disquieting conclusion that the mass exodus of the “adults” from this Administration is putting our nation’s security at risk. Ambassador Bolton’s hawkish and conspiratorial thinking will only make matters dangerously worse. As usual, Schiff is projecting. 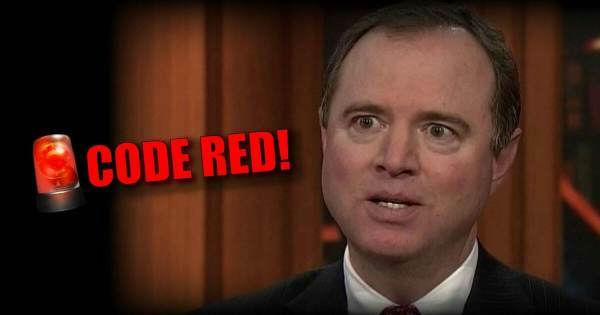 Adam Schiff constantly pushes tinfoil hat conspiracy theories that Russian bots on social media counter the Russian collusion narrative without any proof. In fact, Twitter actually debunked this absurd theory, however; Schiff continues to spread lies. Something is definitely shifting. President Trump had a shakeup with his legal team this week and stacked his team with lawyers who are gearing up to put up a fierce fight against Mueller. President Trump recently hired former federal prosecutor, Joe DiGenova to serve as one of his personal lawyers. DiGenova has fiercely criticized the Mueller witch hunt. In December, DiGenova accused the Obama administration of conspiring to frame the incoming President of the United States. President Trump also added Uranium-One lawyer Victoria Toensing to his legal team. The post Adam Schiff Hits Panic Button Over Trump’s Incoming NatSec Advisor – John Bolton Believes Obama’s FBI Conspired to Frame Trump appeared first on The Gateway Pundit.